Falklands Day is a no longer official observance in the Falkland Islands celebrated on August 14. It commemorates the first sighting of the archipelago by John Davis in 1592. 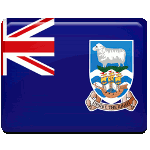 The Falkland Islands (also known as the Malvine Islands in Argentina) is an archipelago in the South Atlantic Ocean. The Falklands are a United Kingdom overseas territory, although Argentina maintains its claim to the archipelago in an ongoing sovereignty dispute. The Falklands are believed to have been discovered by John Davis, an English explorer who was one of the chief English navigators during the Elizabethan era. He sailed with notable explorers such as Sir Walter Raleigh and Thomas Cavendish. According to the official account, Davis discovered the Falkland Islands on August 14, 1592. However, the archipelago received its current name much later. Captain John Strong named the strait separating the two main islands in honor of his patron Anthony Cary, 5th Viscount of Falkland in 1690, and the islands were first referred to as “Falklands” in 1765. For a long time, Falklands Day was celebrated as the national day of the Falkland Islands. However, it has since been replaced by Liberation Day which commemorates the end of the Falklands War between the United Kingdom and Argentina, which resulted in the British victory. In 2002, the government of the Falklands officially introduced Peat Cutting Monday, and Falklands Day ceased to be a public holiday. Nevertheless, many islanders still celebrate it unofficially.